When it comes to wanting to get fit, the majority of people always opt for the tried and tested and more traditional methods. However, there is is a problem with these in that they are totally boring, and who wants to do something that is boring. Seriously, go to the gym and you’ll hear grunting noises that sound like an otter is in pain. Or go to the park, look at the people running and tell us if any of them are smiling. Basically, how can you be motivated to get fit if there is no attractive way to do it. But that’s just it. We have come up with a short list of ways you can get fit and smile. Admittedly, some of these methods are totally bizarre, but it’s better to do something absolutely ridiculous than absolutely boring. We thought we would start off with something everyone can get involved with. It doesn’t matter whether you are five years old or 95 years young, hula hooping can be enjoyed by everyone. What’s more, it is a seriously great way to stay in shape, and smile, and it can be done anywhere; parks, living rooms, office bathrooms, and anywhere else you can think of. This is no doubt a problem that many of us face. We sit there, wishing that we could grab our imaginary surfboard, hit the ocean that’s only 700 miles away and get that killer surfer body that all surfers have. Well, there is a way to do it even when you live in an inner city block. Indoor surfing has started to take off. It’s basically a balance board shaped like a surfboard and it is designed to work your core, define your muscles, improve your balance and work your cardio. That’s pretty cool. 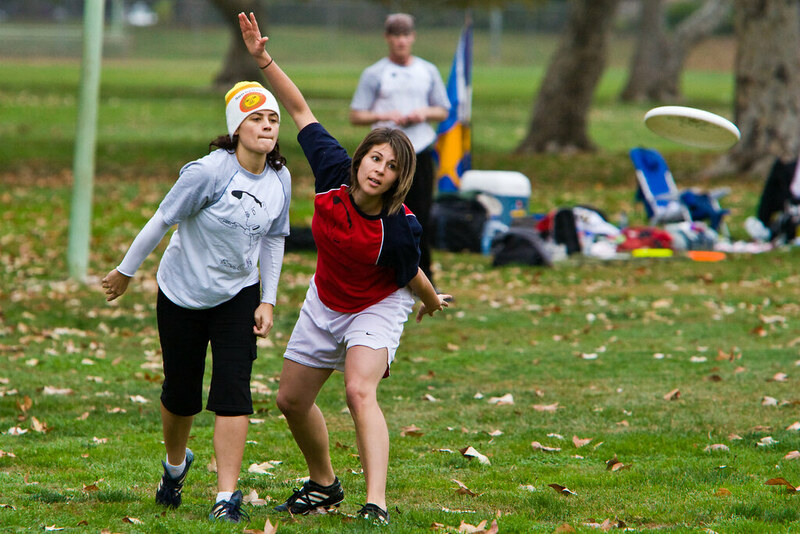 It’s called ultimate frisbee and it is the ultimate workout; so if you are a smoker, go and find your nearest vape shop by going to http://www.lizardjuice.com/locations and quit smoking right away because ultimate frisbee requires serious stamina. It’s an intense game that has a wicked competitive edge and an incredible ability to make you smile. It requires sportsmanship, teamwork, endurance, skill, movement, communication and fitness, oh so much fitness. But join a team and start seeing the benefits right away. Is there a more romantic, more seductive, more enjoyable and more approachable way to get fit than to dance your way lean. Sure, you could do this by dancing in your kitchen as you cook, but why not go that little bit further and join a dance club. As the experts at http://www.dancingfever.co.uk/ will attest, dancing has so many health benefits, and just 1 hour of salsaing can burn over 600 calories. But it is also a great way to learn something new, to be sociable and to have a real life while doing it. You could go on your own and meet a Latin bachelor, or you could take your mom as a bonding thing to do every Thursday. It doesn’t matter why, just that you do.